Dilmah owes its success to the quality of Ceylon Tea. Our business was founded therefore on an enduring connection to the land and the communities in which we operate. We have pioneered a comprehensive commitment to minimising our impact on the planet, fostering respect for the environment and ensuring its protection by encouraging a harmonious co-existence of man and nature. We believe that conservation is ultimately about people and the future of the human race, that efforts in conservation have associated human well-being and poverty reduction outcomes. These core values allow us to meet and exceed our customers’ expectations of sustainability. We reinforce our commitment to the principle of making business a matter of human service and to the core values of Dilmah, which are embodied in the Six Pillars of Dilmah. We will strive to conduct our activities in accordance with the highest standards of corporate best practice and in compliance with all applicable local and international regulatory requirements and conventions. We recognise that conservation of the environment is an extension of our founding commitment to human service. We will assess and monitor the quality and environmental impact of its operations, services and products whilst striving to include its supply chain partners and customers, where relevant and to the extent possible. We are committed to transparency and open communication about our environmental and social practices. We promote the same transparency and open communication from our partners and customers. We strive to be an employer of choice by providing a safe, secure and non-discriminatory working environment for its employees whose rights are fully safeguarded and who can have equal opportunity to realise their full potential. We promote good relationships with all communities of which we are a part and we commit to enhance their quality of life and opportunities whilst respecting their culture, way of life and heritage. 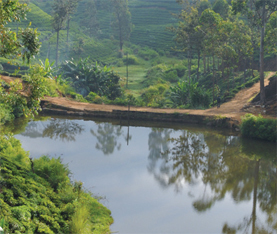 The continuous use of fertilisers has rendered soil and waterways within many tea plantations unproductive. In order to address this situation, bioremediation is carried out on selected sites. The success of the programme is measured with water quality tests. The data, once collated can be applied as a tool for determining and predicting water quality in other locations. The Thondaimannaru Field Research Station, an important centre of scientific learning, was vested on its custodians – the Field Works Centre (FWC) and Jaffna’s scientific community by Dilmah Conservation. It is an initiative of the ‘Reconciliation through Power of Nature’ programme. This is the first centre of scientific learning to be rebuilt post conflict in the Northern Province. 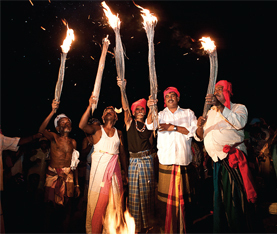 A programme initiated to document and preserve disappearing cultures of indigenous and traditional communities in Sri Lanka. As a result, two important publications, on Sri Lanka’s Veddah and Ahikuntaka (gypsy) communities - Indigenous Communities in SriLanka: The Veddahs and Traditional Communities in Sri Lanka: The Ahikuntaka were produced and are being widely circulated. The largest privately held solar power generating plant in the country was established in 2013 at the Dilmah Office in Peliyagoda. The 417 panel solar array has a power generation capacity of 100 kW and is functioning above its expected power generation capacity. 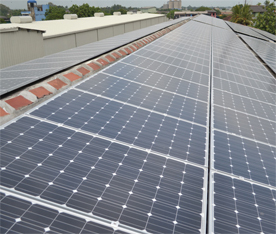 The solar array was established as part of Dilmah’s core commitment to sustainability. 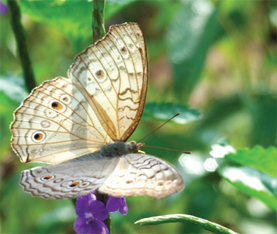 The Dilmah Conservation Butterfly Garden located inside the MJF Centre Moratuwa, is home to over 50 species of butterflies, some of them endemic. This model garden in an urban environment is now being replicated in other locations to offer a safe haven for butterflies, whose natural life cycles are threatened by a loss of habitat and host plants. Dilmah Conservation launched the Sri Lanka Business & Biodiversity Platform in partnership with IUCN Sri Lanka and the Ceylon Chamber of Commerce. The Platform aims to foster dialogue between the private sector and conservation agencies and ensure long-term sustainability of private sector projects and minimise environmental damage caused as a result. 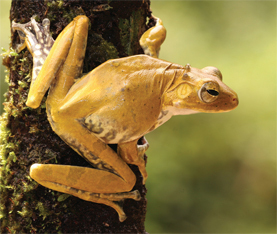 Our efforts to support the conservation of Sri Lanka’s finite biodiversity resulted in the discovery of nine amphibian species from two diverse locations in the country. These discoveries are a positive indicator of the country’s species diversity and Dilmah Conservation works closely with the Herpetological Foundation of Sri Lanka to facilitate novel species identification. 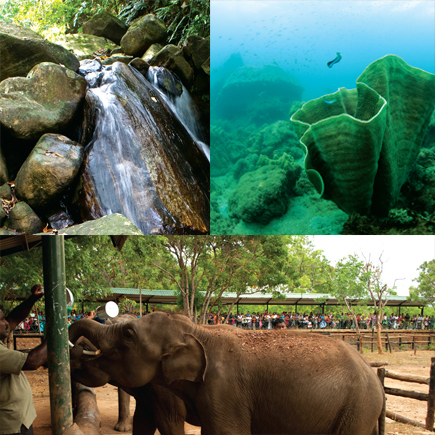 Sri Lanka is blessed with pristine beaches while the sea is home to a diverse range of species. 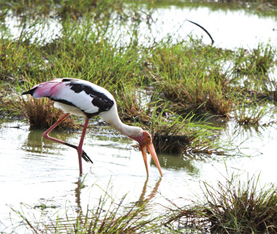 Both natural and man-made causes are affecting the well-being of these habitats and Dilmah Conservation is carrying out species diversity assessments, information sharing and working with relevant local and national institutions to ensure conservation of these habitats. 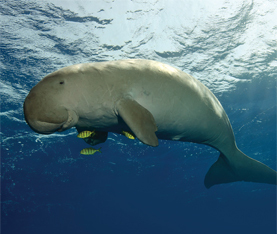 Dilmah Conservation is implementing the UN memorandum on Dugong Conservation to protect this globally threatened species identified as one of the critically endangered marine mammals in Sri Lanka. An information dissemination campaign targeting school children and fisher communities in Sri Lanka’s North, where this species was once found abundantly, is carried out along with surveys and information gathering. 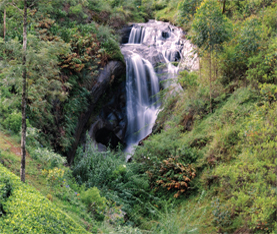 Tea estates are identified as semi natural areas, harbouring various fauna and flora. In an effort to conserve the finite biodiversity that exists within these areas, Dilmah Conservation launched the first connectivity conservation initiative undertaken by a private tea company in Sri Lanka, and will play a major role in Sri Lanka’s efforts to conserve its biodiversity. 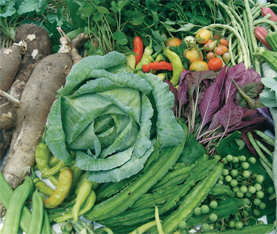 The Dilmah Conservation Sustainable Agriculture Research Centre – DCSARC was established at the MJF Centre Moratuwa to carry out research on high yield crops, grow pesticide free vegetables and provide training on sustainable agriculture. Visitors are shown how to set up vertical agriculture models in limited spaces using discarded items and utilising kitchen waste to create organic fertiliser. 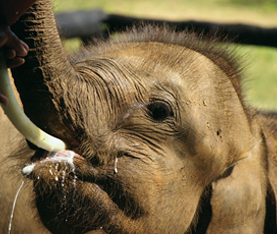 Human – elephant conflict has led to the dwindling of the Asian Elephant population in Sri Lanka. In an effort to conserve this majestic species, Dilmah Conservation is supporting the Elephant Transit Home for baby orphaned Elephants and the Elephant Information Centre, both situated next to the Udawalawe National Park in Southeast Sri Lanka. 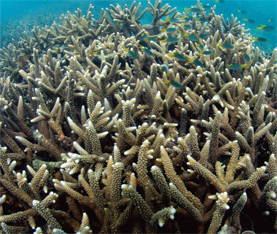 To learn more Dilmah Conservation, visit our website. Q1. Which statement is correct? Dilmah is the world’s genuinely Ethical tea, going beyond Fair Trade, in that all packaging profits retained in Sri Lanka and fund the work of the MJF Charitable Foundation. Dilmah conservation is an extension to our social justice commitment. The foundation funds and manages over 300 projects, touching the lives of over 10,000 underprivileged people each year. Q2. Which statement is correct? B - The Founder of Dilmah, Merrill J. Fernando, is one of the most experienced tea tasters in service today with 63 years in tea.